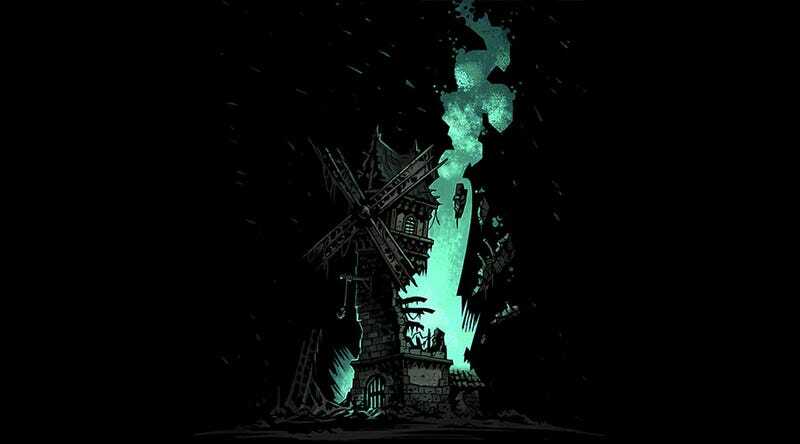 Darkest Dungeon, a depression + anxiety simulation platform, is getting some new DLC next year called The Colour Of Madness. In short: the alien comet has turned folks into zombies, and the new DLC will introduce some new stuff to accomodate this. There’ll be a horde mode where your crew can settle in and see how long you can survive against “unending waves of enemies” (both “new and old), the zombies will make up a new faction and there’ll be new trinkets to buy as well. It’ll be out in Spring 2018. And shout out to Red Hook accurately labelling their game “the very best in all-consuming misery and morbidity”.